In September, I was fortunate to see Ron Baker talk in a workshop. While his primary focus has been on accountants – this is his background – he now gives all professional advisers some very compelling thoughts about Implementing Value Pricing. I captured the workshop with my images below. If you would like to read more about Ron, please check him out on LinkedIn (he is an influencer, so he has some valuable tips to use in your business). 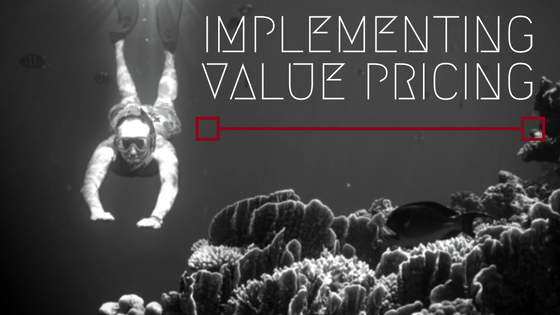 Have you thought about implementing value pricing in your business? Whether or not you are a professional in law or accounting, Ron’s ideas can be applied across other industries as well. Tim Williams writes about his experiences from the advertising industry in his book Positioning for Professionals. Note: Both of these gentlemen have books – a leverage for their business – what do you think? Have you thought about how you could write a book and what it could do for your business? What value can a book provide to your customers?